What would you like to know about Aurion? 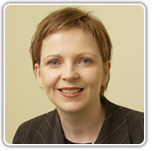 First of all, meet our Managing Director, Dr Maureen Murphy. My name is Maureen Murphy and I started Aurion in 1999 with a staff of two. Since those humble beginnings, we are now an award winning eLearning solutions provider with a staff of 10-core people and another 10 associates. If you would like to know more about Aurion, click the questions below, or click Ask us more if you have a specific enquiry. Q1. What is Aurion good at? Q2. What markets do Aurion work in? Q3. Do Aurion prefer to work with a specific type of organisation / company? Q4. What specific expertise does Aurion have? Q5. Who are Aurion’s clients? Q6. How is Aurion financed? Q7. Can you tell me more about your Managing Director?